We are advanced trained storm spotters living in Hickman County, TN. We are NOT METEOROLOGISTS, nor do we play ones on the Web. We simply help echo NWSNashville’s weather information that specifically applies to Hickman County. We are also NOT STORM CHASERS. We are simply two individuals who are fascinated by the weather and want to keep ourselves and others in our community safe and sound during severe weather events. We are a #tspotter coordinator with NWSNashville. We help NWSNashville with providing ground-truth to severe weather as storm spotters and getting information to NWSNashville using #tspotter on Twitter. 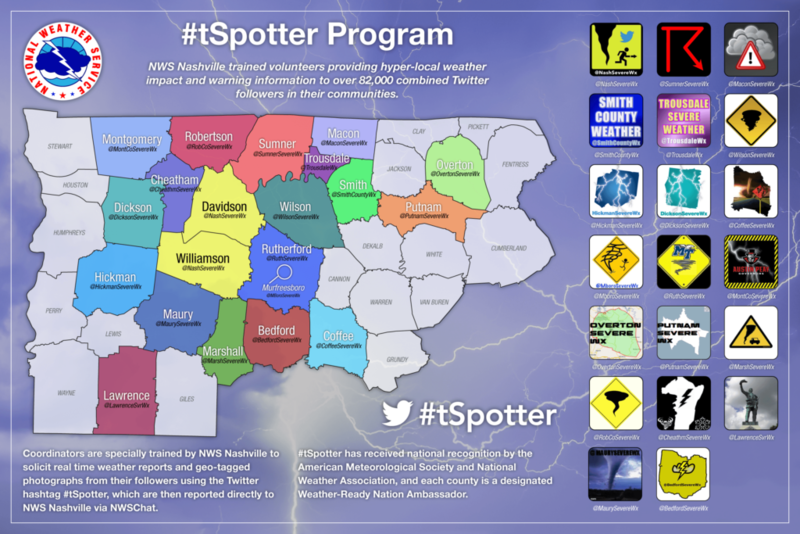 #tspotter Coordinators – Click to see larger. We are a NOAA Weather-Ready Nation Ambassador. We are recognized by NOAA as a partner helping improving the nation’s readiness against extreme weather, water, and climate events. Click the image below to learn more. Amber is also a recipient of the National Weather Service Nashville’s Distinguished Service Award in February 2017. 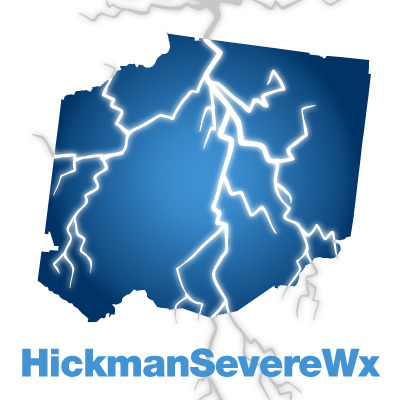 We will mainly be posting daily updates here, while our Twitter account (@HickmanSevereWx) is more for in-the-moment and urgent information. We encourage you to follow us (or create an account and follow us) to keep up to date on weather impacting our county and to send us any weather reports in your neck of the woods. We are also the same people behind @DicksonSevereWx on Twitter. This site is brand new and constantly changing. We are working on a more permanent website design in the coming months that will provide much more information and more tailored to the type of information we want to share. Page last updated March 1, 2017.